How do you make everyone's favorite pocketable notebook even better? 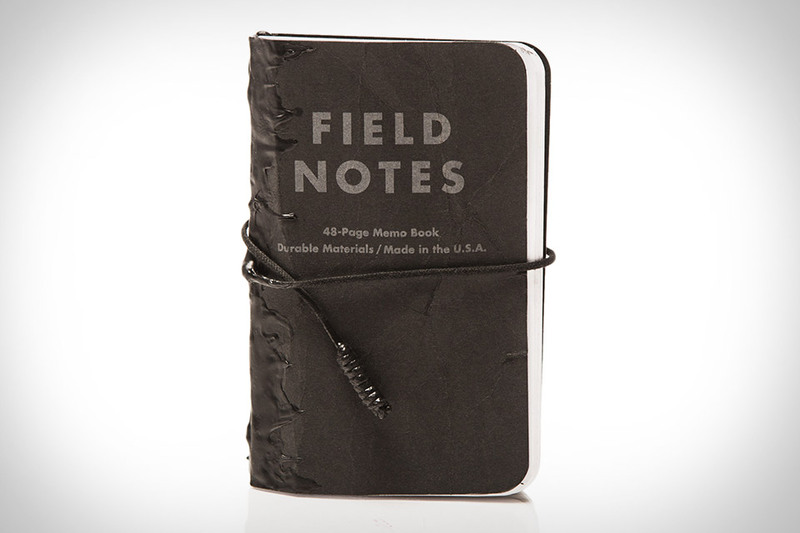 Well, if you're the mad minds at Blackbird, you take three Pitch Black Field Notes books, bind them together with your special tar formula, and add a double-wrapped cord closure and a tarred cord as a bookmark. The result is the Blackbird Tar Field Notes Notebook, which comes in at 148 pages and is guaranteed to draw attention at the local coffee shop/next maker meetup. Most of us have things like monitors, keyboards, pen cups, and lamps on our desk. The trouble is, unless you purchased them all at once or a terrific interior designer, odds are their disparate appearance likely makes for a messy look. 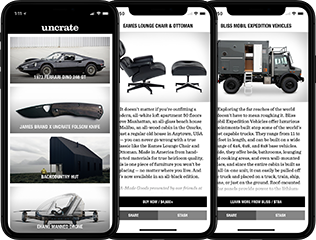 Remedy this situation with a few choice pieces from the Grovemade Desk Collection. The collection includes a monitor stand, keyboard tray, mouse pad, ruler, wrist pad, pen cup, paperclip holder, succulent planter, and lamp, all available in your choice of walnut or maple, and all guaranteed to add a touch of class to your workspace. While they're commonly lumped together, Arts and Sciences are two very different disciplines — different enough that they should have their own notebooks. Or at least that's the idea behind Field Notes Arts & Sciences Notebooks. Part of the ongoing Colors series, these limited-edition books are larger than normal — 7.5" x 4.75" — and offer 64 pages each. The Arts book gets a wine-colored cover containing handy information, right-side pages with quarter-inch gray rules for prose and poetry, and blank left-side pages, while the Sciences book sports a slate gray cover filled with formulas and theories, right-side pages with an all-new Engineers Graph, and blank left-side pages for whatever doesn't go on a graph. If you're going to do the paper and pen routine in this modern day of tablets and smartphones, you might as well make your pen worth carrying around. The Monteverde Multi-Tool Stylus Pen is a perfect example. While it works great as a ballpoint, this multi-talented instrument also features a stylus cap, both a philips and flathead screwdriver, a level, and a ruler built right into the side. It's like a multi-tool for geeks. Like most pursuits, design is a skill that benefits greatly from practice. Drau Footwear Sketch Books help you get the most out of your practice time by providing guidelines and pre-printed marks that make it easy to sketch quickly with correct scale and proportions. In addition, each page is perforated, so you can tear out your designs as you go and place them on a desk or wall for review. After years of contention, litigation, and general difficulty, the mid-century modern design created by Norman Cherner, the Cherner Task Chair has reemerged. Based on original sketches and prototypes created in the 1950s, the update of this classic chair is the result of Cherner's sons' work to revive their father's vision. With its five casters, swiveling design, height-adjustable seat, and comfortable armrests, this task chair is a work horse that will get you through a hard day on the job. Made from steel and walnut, it has an aesthetic that reveals its strength and utility, while looking right at home in just about any workspace. Notebooks are great, but unless you're writing in pencil, they're one-use affairs. Whiteboards are great for sharing ideas with others — but who wants to carry around a whiteboard everywhere? Nuboard combines the two into a slick sketching and sharing tool. This A4-sized notebook features multiple pages of whiteboard-like material, separated by translucent sheets that let you expand on your thoughts with overlays. It's like a full presentation, only in notebook form.